My name is Jim Rutledge, a proud Canadian, the son of a man who fought for this country and I am passionate about our veterans past and present and am expressing my feelings, thoughts and views on what Remembrance Day, November 11th means to me. Many are of the opinion or view that Remembrance Day will be with us for many years to come, but perhaps in a somewhat different form than today. To many, Remembrance Day is just as important as it was on November 7, 1919 when King George V, specifically, named this day as the time when people would remember those who fell during “the great war”, the war to end all wars. This tradition has continued for 95 years and now we also honour and remember those who fell In World War II and following conflicts. Remembrance today it has been said is unlike in previous times, has become poetry, prose and drama. In addition there are now overseas tours where one can visit places like Vimy, Passchendaele and Juno Beach, and while there you will see the memorials with names engraved upon them or visit the cemeteries where a Canadian soldier rests and it is during these times that you fully understand. You cannot leave these sacred places without being deeply moved. I strongly believe that our next generations will take remembrance along with them into the future of Canada. I say that because as a child, and as the son of a veteran I always went to the Cenotaph in Kitchener with my father. In later years it was in Grande Prairie, Hinton, and Edmonton Alberta and then to Elliot Lake and now Goderich. However, today there are more and more younger people coming to the cenotaphs of Canada whether they are with their school or there alone – it does not matter – they are there. The idea of wearing a poppy became popular around November 11, 1921 and this was when the poppy began to be worn in honour and remembrance of our veterans. And the stem itself symbolizes the courage of the fallen soldier. Someone said that wherever our veterans happen to be on days just like today – time stops for these honoured souls because during these moments they are young men again and their memories and thoughts go back to their comrades. You will in many cases see tears on their cheeks. This is a sad but a beautiful moment; a lingering impression of the love that still exists 70+ years later between those who survived and came home and those that did not come home. It has been said that our men and women who experienced war looked after one another during those days of evil and hate. Even today they are looking after one another. It is the way they look at a headstone, cenotaph or memorial. They see beyond the engraved surface to the face of a pal of long ago. It is also, the way that they kneel and, with hands that tremble, place poppies or little crosses. A wartime prayer from World War II says: “Beneath this soil, beneath this sacred soil lay members of our Canadian regiments. They marched with us in our struggle to free Europe and the Far East from tyranny. They were the youth of our generation. They were active. They were noisy and boisterous. Today they are still. Today they are silent. Then let us be by our silence remember them. As you go home from here, we should tell others about these men. They gave their todays so that you and I could have our tomorrows. Our remaining veterans of honour have all earned the right to remember the sacrifices made for us during those days and to look back with pride at the contribution that they have made to Canada. It is absolutely not acceptable to think that remembering and honouring our veterans is sufficient just on one day of the year, or to think that a donation to a war museum so your name appears on a wall is sufficient, or that a cenotaph or a memorial are the only ways to say thank you. King Albert I of Belgium said these famous words “To forget means insulting the past and menacing the future”. Our young Canadians went overseas with pride and all wore the uniform with the maple leaf on it. Our remaining veterans still feel that pride and can still remember that pride. When our Canadians went overseas – and no matter where they were – if the maple leaf was not respected, it was not long before those being disrespectful were shown the error of their ways. The belief of the Government of Canada is that we must remember, otherwise, what they sacrificed will not mean anything. They died for all of us, for their homes, families and friends, for the Canadian traditions they all believed in and cherished, and for a future one and all believed in. They died for Canada. I personally believe there is much to honour and to remember. I believe it is our duty, our obligation and our right to remember. We must remember our Canadians who served their country when needed. All faced difficult situations bravely and in doing so brought honour to themselves, to their loved ones and to their country. These were just ordinary Canadians doing extraordinary things. We must always remember and never forget what our young Canadians endured and sacrificed during World War II – the loss of their comrades, severe living conditions, fear, pain, being prisoner of war, forced and hard labour, lack of sleep, torture, disease, illness, starvation not to mention brutal weather conditions. 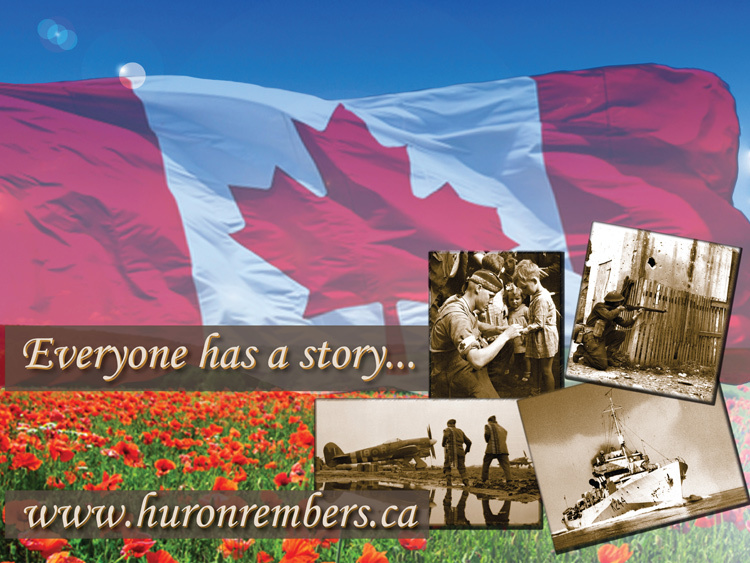 Our country asks us to remember those who paid the supreme sacrifice and to honour our remaining veterans. One day we do this is November 11th. In addition, we remember other anniversaries and days of importance. In remembering, we pay homage to the Canadians who responded to the needs of their country. We remember with a poppy and two minutes of silence. We pause to reflect and to think. We bow our heads and remember our brave and young Canadian men and women. These men and women served with courage, with honour, with dignity and the final victories was theirs. Remember this when you next attend a ceremony at a cenotaph…..
Who has given us our freedom of religion. Who has given us the freedom to assemble.